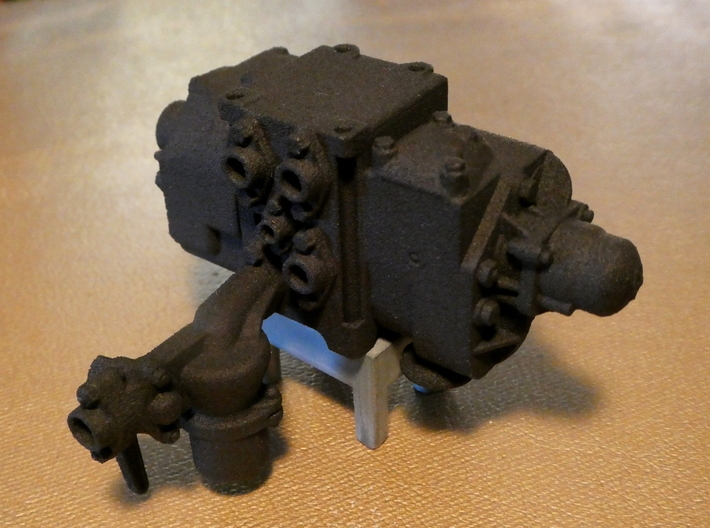 KKMC's signature AB valve, now available in 1/8 scale! White Natural Versatile Plastic is shown. Penny and display stand not included. Kadwell is at it again...! 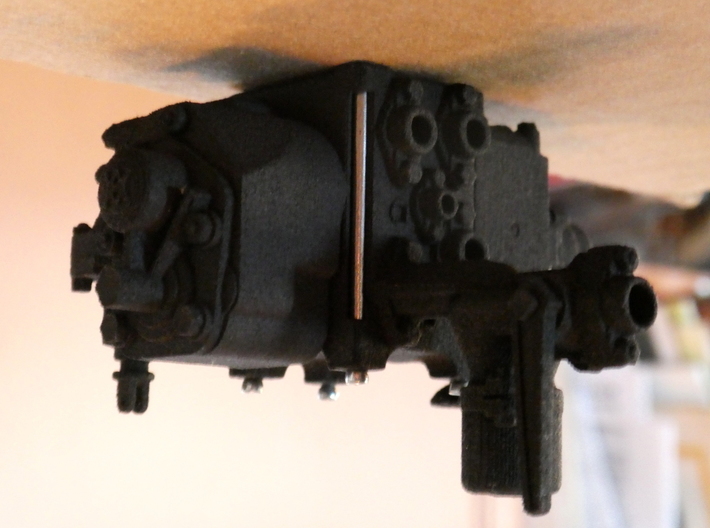 Due to popular demand, we're now offering our signature AB air brake control valve in 1/8 scale (aka inch-and-a-half scale) for outdoor and live steam model railroaders. 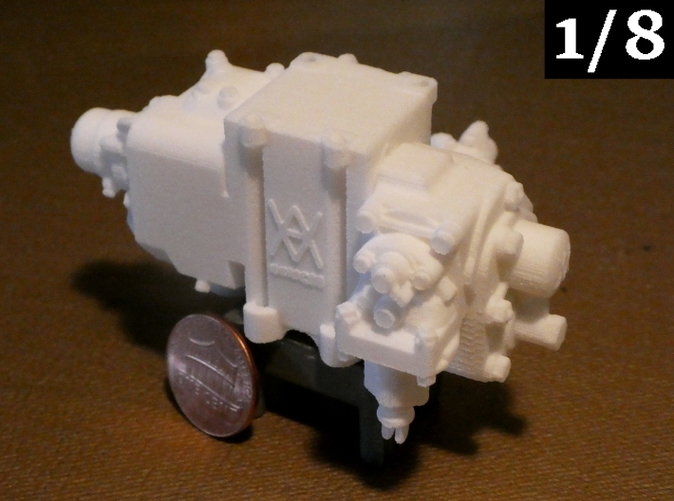 It would have been easy to merely scale up our HO brake valve to this comparatively giant modeling size-- and the results wouldn't have looked bad, either. But instead, we painstakingly remastered our work from top to bottom and front to back, offering a level of detail and scale precision that's custom-tailored to the broad canvas of 1/8 scale-- and all carefully checked against and modeled to the specifications and measurements of real-world, full-size equipment. We think the 3D previews available above speak for themselves. 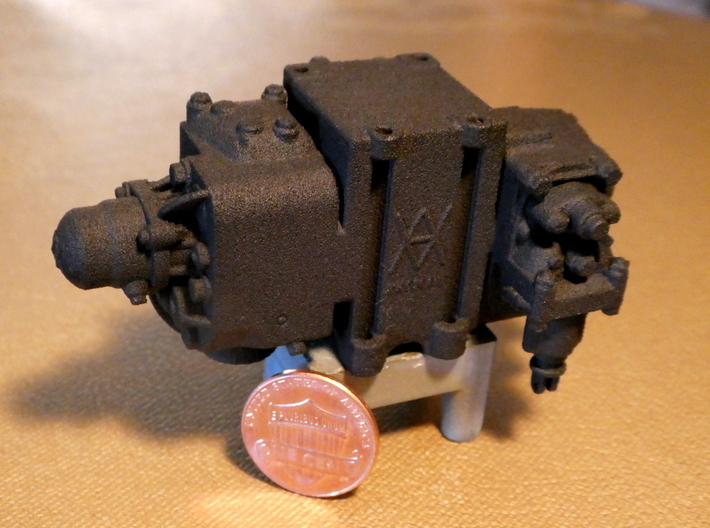 When printed, this valve is just about three inches long from end to end, putting its detail on full display and to good use. 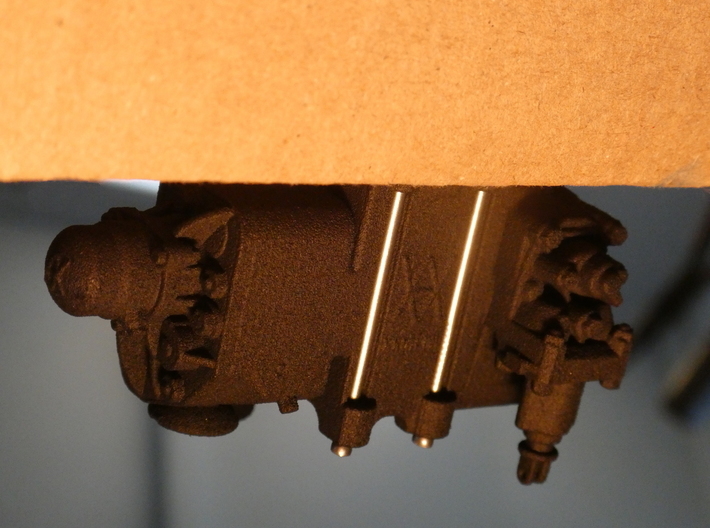 In lieu of a top mounting pin, this version of our valve has working bolt holes in all four corners, just like the real thing. 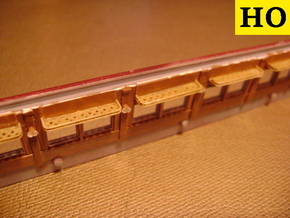 The use of long pins, as supplied by the modeler, is recommended for mounting the valve to a model railroad car. 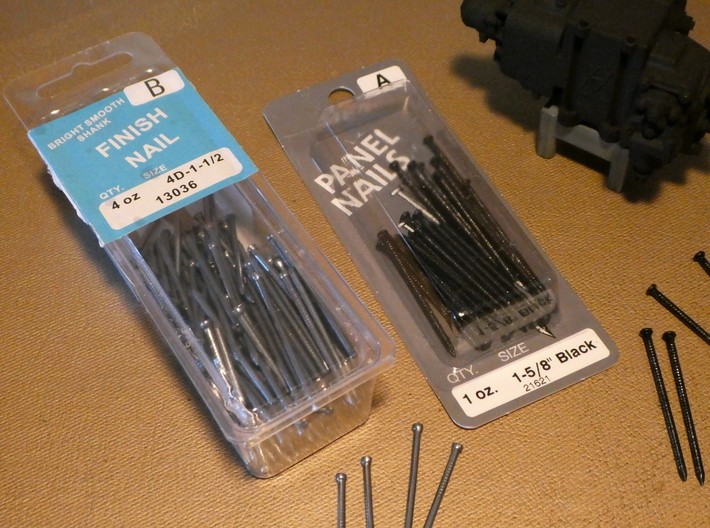 Readily-available finishing nails, seen in the photos above, work well. The valve is otherwise ready to use. All of the pipe connection ports on the back of the valve are accurately spaced and sized. An air filter, modeled with the same exactitude as the valve itself, is included and comes attached to the correct valve port. 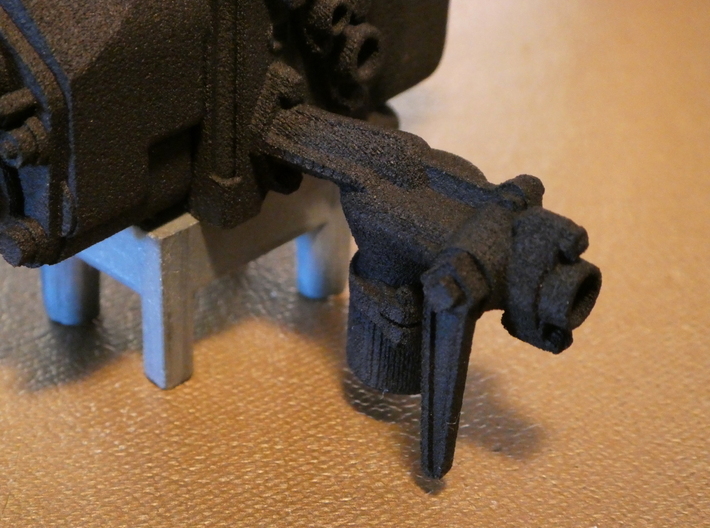 The air drain handle, on the front right face of the valve, has working pin holes so that a simulated air drain rod (not included) can be installed and fastened with some 0.012" wire, if desired. 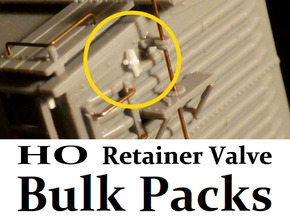 The recommended plastic for this valve is Versatile (formerly Strong and Flexible) nylon. 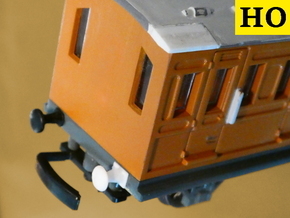 The grainy finish compliments the durable nature of real railroad brake equipment. 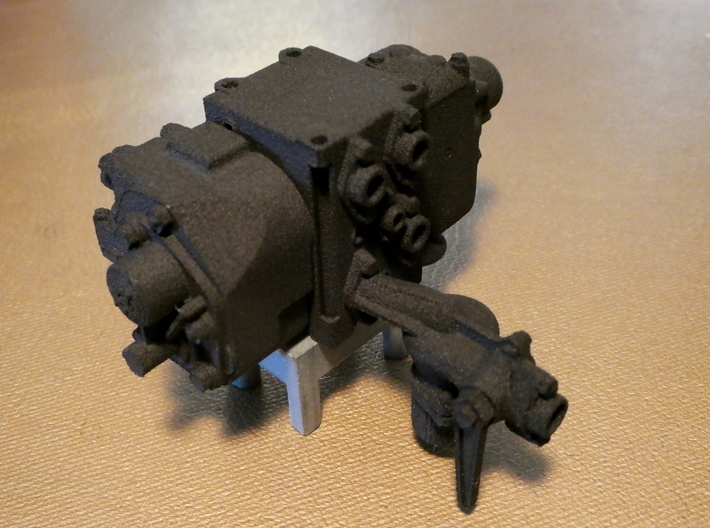 If you wish to purchase a complete set of 1/8 scale AB brake components, instead of just the AB valve, a separate product page for a complete set can be found from our main Shapeways store page. 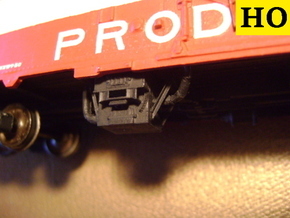 Note: This valve will not hold air pressure and cannot be used to distribute braking forces for a freight car. It merely looks really good.